Ready to assist in the afterlife, the warriors stand in military formation near Qin Shi Huang's tomb. The stamp came from a 4v booklet. 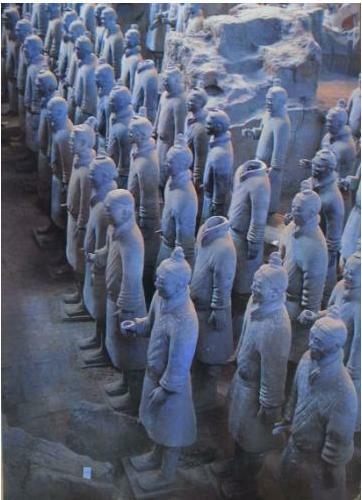 Thank you Kitwah for this postcard! 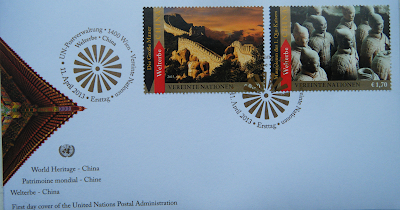 I purchased this Austrian 2013 'World Heritage-China' FDC, from the UN on a trip to NYC. Has anyone else experienced appalling customer service there? For all of the promotion and hype of the unique post office I was surprised at the lack of philatelic, let alone stock knowledge.